Rustic Nativity Scene Just $13.99! Down From $25! PLUS FREE Shipping! You are here: Home / Instagram / Rustic Nativity Scene Just $13.99! Down From $25! PLUS FREE Shipping! Score this beautiful Rustic Nativity Scene at Jane for just $13.99 down from $24.99 PLUS FREE shipping! Rustic Christmas Nativity Scene on weathered barnwood. A darling rustic scene perfect for gifting or for your own mantle. 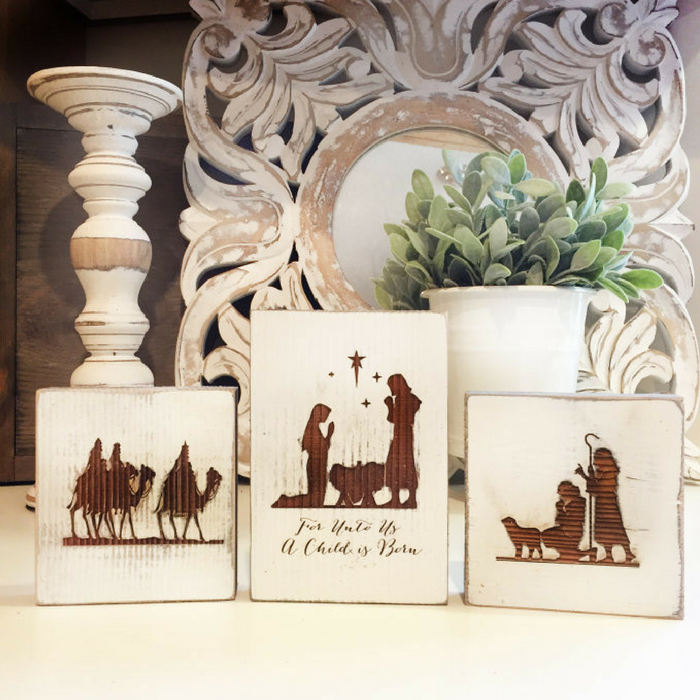 Teach the story of Christmas with this simple, beautiful and humble set of barnwood decor. Each comes wrapped with red and white string and a blank gift tag – ready to gift!